In the end of last year, I also wrote this article. I noticed I wrote this kind of articles every year since I opened this blog. I want to do the same thing every single end of year. This is really like what I am. By the way, Are you wondering why I started to use English? This is just for people who really want to read. When I write in Japanese, It's easy to read. Of cource, I don't use difficult English words. I'll focus on some ingridients. I got a tittle of Associate Master from Tozan-ryu. This is not awesome at all. If you play shakuhachi a little and pay money, you can get it. The thing is whether each person really has the ability. I think this system is a little weird, but for people playing shakuhachi to enjoy, this might be a good milestone. I think I don't have the ability enough to get the title of Master right now, so I'm improving my playing. And what I really want to do is just to play on Youtube. I want to do for this in the next year. And I want to play on many real stages. Most Japanese people are in trouble when they have to talk with foreign people. As you know, we are very good at reading English but not at speaking. In this year, I learned English harder than before. This learning is just for talking. Many foreign people come to my laboratory from all over the world and I have to communicate with them in English. I had a chance to learn from them. but I usually learn on Youtube channels like Buzzfeed. Now I can talk like non-native people outside of Japan. I want to practice more and use many phrases in the next year. And I started to learn Russian language. I have a twitter account for foreigin people and follow a lot of Russian people, which is just all of a sudden. In the past I took a class of Russian at colleage but I have totally forgotten. But the other day I watched a video of a beautiful woman called Saya Scarlet on Youtube who is not able to speak English. (Please watch her video.) I wanted to know much about Russia and started to learn. Я очень хочу утить русский язык. I entered the graduate school at Univ. Tokyo in this year. My life have totally changed. At first, I had to do a lot of things for my research. I designed a new device, played RaspberryPi, went to the Kyusyu by plane and etc. I have done just only what I could do. All I got is how to manage my time. This laboratory might be better than before. As I mentioned, reserchers come from all over the world. And there are many students I can feel free to talk with. An enviroment might be one of the important factors for choosing my job. The Next Year is Coming! Seiren? What is it? 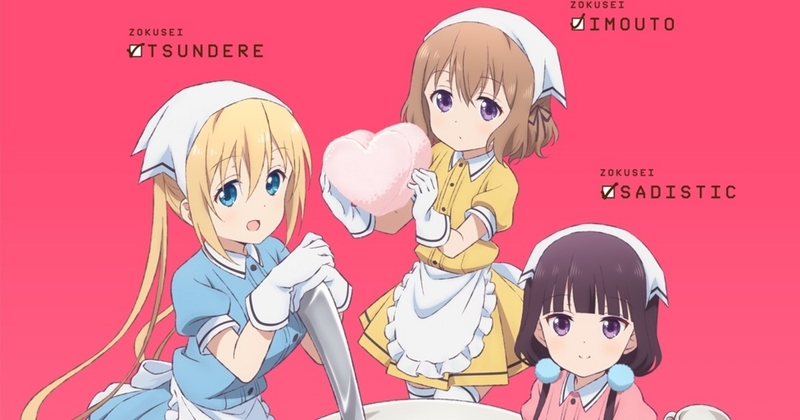 The top among this year's animes is Blend S.